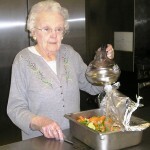 Milan has a real treasure in their senior citizen activity center which is located in the heart of their downtown area. Milan Seniors for Health Living is a nonprofit organization with a great heart and passion for enhancing the quality of life and encouraging aging with independence and dignity for the “mature” residents that live in and around Milan. They operate out of the Milan Senior and Community Activity Center which is located near Milan’s library and police station. MSHL has a diverse array of activities, programs, and services that are offered Monday’s through Thursdays. From exercise classes, crafting, cards & games, meals, a computer lab, trips, massage therapy, manicure services, diabetic support groups, a “Red Hat” chapter, educational speakers, language classes, and more; you are sure to find something there that appeals to you. Do you know about the transportation services they run? Aged 50+ and living in the 48160 zip code, you can be picked up Monday, Wednesday and Thursday 9 to 2—just give them 24 hours notice. Come see what special events are coming up! The center celebrated its second anniversary as a non-profit in July 2012. But the best thing about the center is that it is filled with the kind of people you want to get to know—let me introduce you to one of their key volunteers. 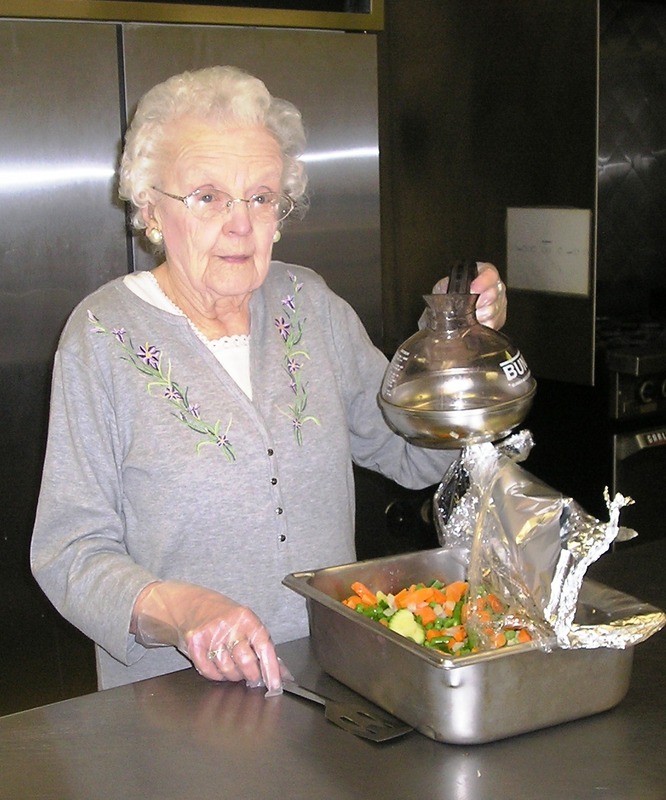 Hermione Fauser loves what she does—and it really shows in her smile as she describes setting up the kitchen every morning and working with the lunch program at the Milan Community Center. “Hermione is the first one there in the morning and the last to leave,” says her co-worker Laura Russeau. Hermione loves working with the people she meets at the center—both her coworkers and the folks who come to the center. Hermione and her husband, LaVerne moved to Milan in relatively modern times, 1955. Hermione says she feels that Milan is still the small town that they found then. Hermione retired from working on the male ward of the state hospital 40 years ago when the community center was just opening. She and her husband, Verne wanted to keep busy in retirement. 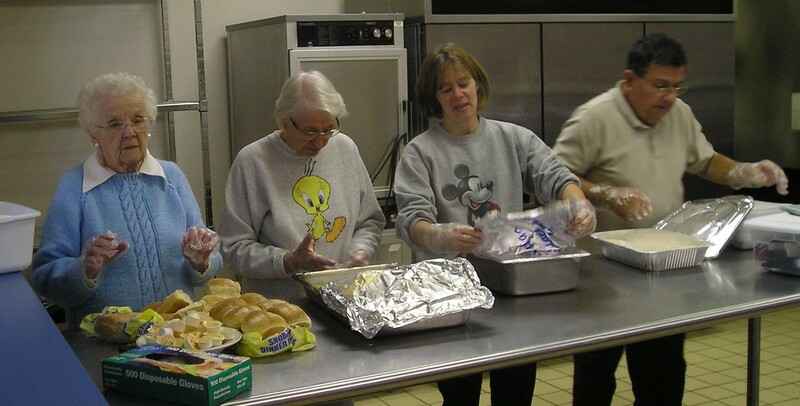 They felt lucky to find such a great volunteer opportunity close to home. Although Verne has now passed away, Hermione continues to volunteer at the center. She says she would recommend volunteering to anyone because it gets you out of the house and keeps you active. Hermione says that in addition to walking outside everyday, she gets plenty of exercise setting the tables, lifting trays, and serving food at the center. MSHL director Jennifer Michalak added “Hermie is an amazing individual that offers inspiration to all of us. You should ask her to quote some poetry. She is a treasure trove of memorized poems for every occasion..
Hermione’s favorite thing to do is to spend time with her family, and she is an avid knitter. In fact, Hermione knits and donates an afghan every year for the senior center to raffle off and it is always a “hot ticket” item. Hermione is also active in the Lutheran church which is an important part of her life. As we finished the interview, I walked Hermione back to the kitchen where her co-worker, Ed greeted her with this banter: “Perfect timing! You show up when we are all done with the work!” Hermione suggested I interview Ed, too, but Ed modestly declined the offer, saying he’d rather we gave Hermione all the attention: “She’s been here way longer than any of us!” he said. Ed looked like he was, like Hermione, another one of the kind of people you’d like to get to know—looks like I will definitely need to make another visit to Milan soon! This entry was posted in People You Know.